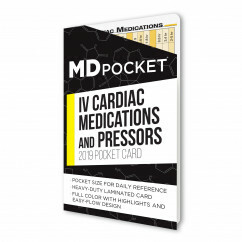 The Cardiac Medications and Pressors card is a double-side reference with detailed information on cardiac pressors, beta blockers, calcium channel blockers, and vasodilators. Reference each cardiac medications action within the body and on which receptors it interacts. Get real-time information on what you are to expect from each medication on heart rate, blood pressure, cardiac output, systemic vascular resistance and half-life. Dosing information is included with bolus and ranges for infusions. Great pocket medical reference for use in any hospital, ICU, critical care or acute care setting. 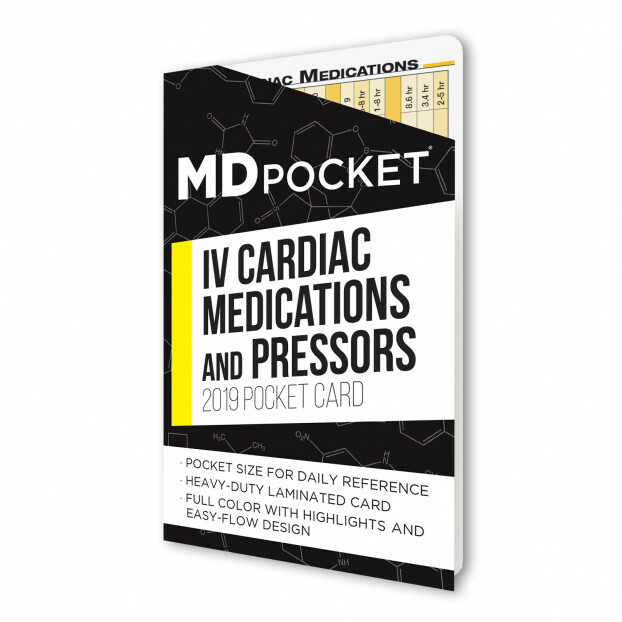 Simple pull this card out and know exactly what the cardiac pressor, beta blocker, or vasodilator will do once given.A must have pocket medical reference card set for anyone in critical care. 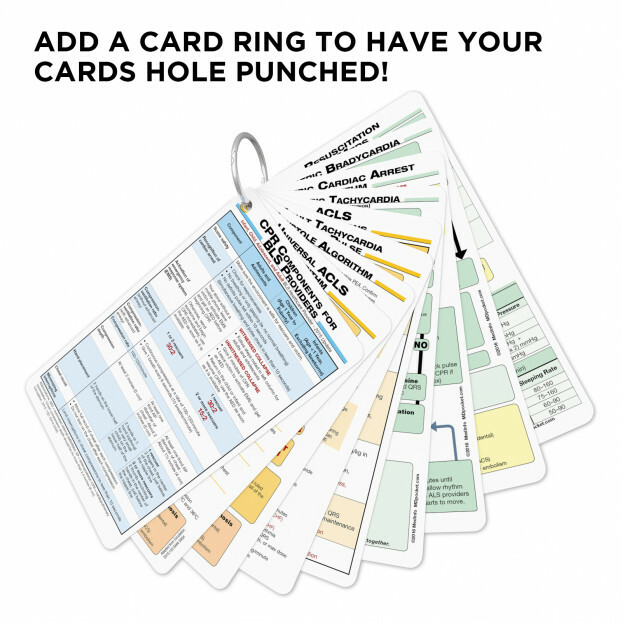 Add a standard 1.25-inch ring to carry all your pocket cards to keep you organized. Cards will be hole punched for you if the Card Ring is added! Click here to see full details. Make sure you get the right cards for you! 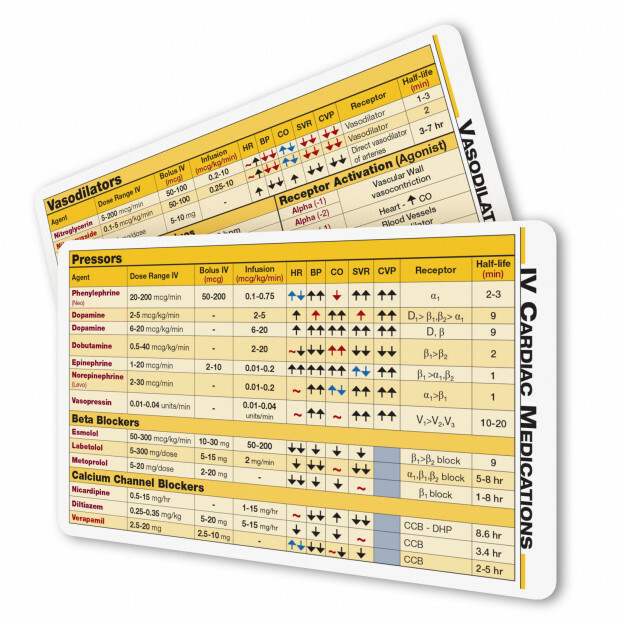 Click here to see our other medical reference cards and sets!